Arinze Stanley is a Nigerian artist who loves to represent the soul of individual life instances and expressions through his drawings. 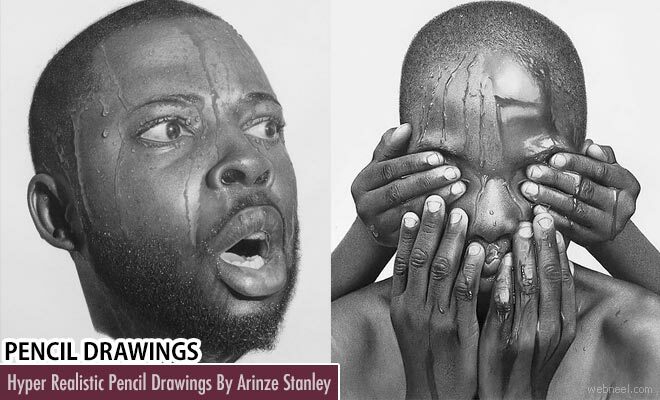 On a cartridge paper with graphite and charcoal pencils Arinze brings out enormous portraits of his subjects. Usually hyper realistic artists tend to bring a kind of ideal perfection in their art work. But Arinze focuses on realism overflowing in his art works with a sense of emotion attached to it. He takes more than 100 hours to complete a piece of art with extreme patience and perseverance. The pencil drawings of Arinze has minute details in an extraordinary way which makes it look like a portrait taken by a professional photographer.